During the last last lesson of Logistics we were talking about the management of inventories and its different parameters. This is a difficult issue that appears in the management of every companies, independently of their size. 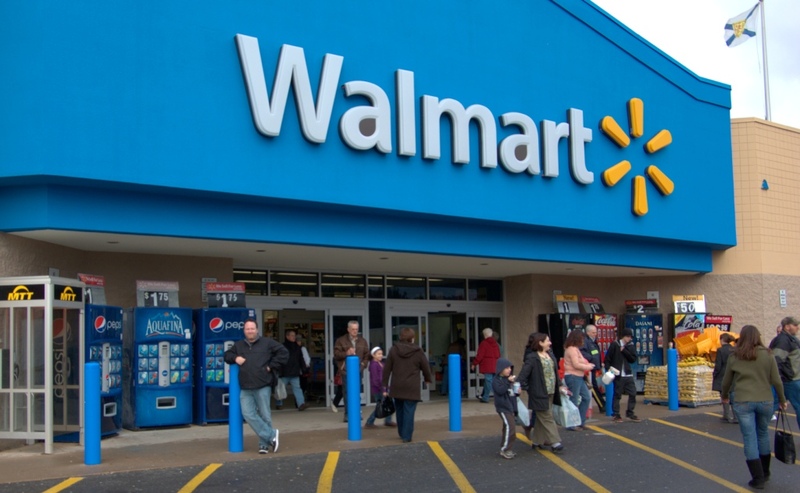 Here I wanted to comment some troubles that some big companies, like Best Buy, Walmart and Nike, have had with the management of their inventory, in order to observe the difficulty of it. 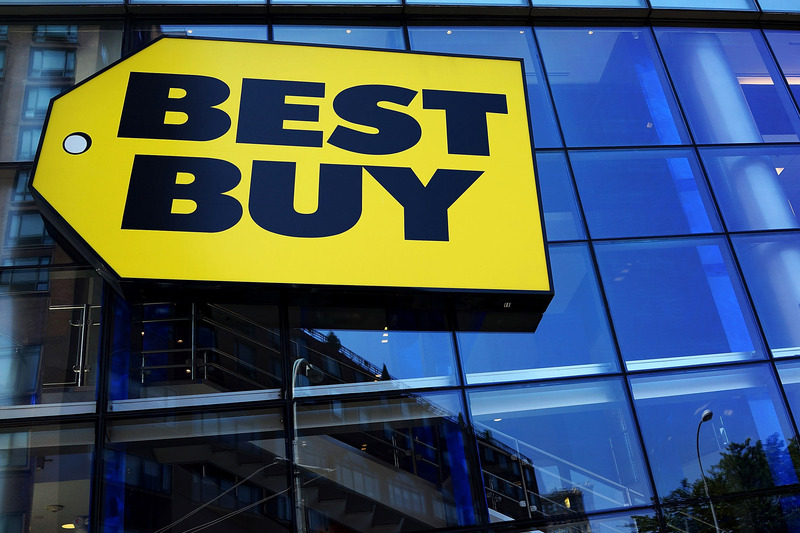 In December 2011, Best Buy communicated that owing to the h igh increase of the demand in some products with deals, they had had problems to supply the 100% of orders of their customers. They apologised for the discomfort caused with the respective notification to the affected customers. The fact that Best Buy failed managing the inventory not only affected the sales, it also diminished their customers’ confidence. Recently have appeared some problems in Walmart for lack of stock. Little by little, customers have stopped buying their products owing to bad service and to its, each time more common, empty shelves. Waltmart’s logistics is calculated with and amazing accuracy. However, some analysts have attributed the problems to a bad management in their inventory. Retail sales is a very competitive sector, so a bad management in their inventory can destroy a company soon. The last example I wanted to mention is Nike. In 2001 Nike failed implementing a software to manage the supply chain. They installed the system of demand’s management without testing it adequately. The result was an excess in stock of low circulation products and a deficit of very popular products like Air Jordan. This supposed the company a loss in sales of $100 millions dollars. As we have observed, a bad or wrong management in their systems of stock management can generate high amounts of loss in their sales, but also of customers, so the management of inventories remains a key piece for companies. In our last lesson of innovation management, we watched a short video about Upalet, the carton pallet, which is an innovation in the market of pallets. Despite it was in the class of innovation management, I also could appreciate​ a connection with logistics, so I decided to introduce you this new product as an alternative to the traditional pallets, and also its advantages described in its features. The carton pallet is 100% recyclable, even has a residual value that allows the owner to recover part of his investment. Thanks to its interlocking stacked for can be stored in a much more compact way, reducing space and optimising transport and storage. Because of its weight and the useless of metal things is safer avoiding serious accidents. For example, when my father was working as a truck driver, once a pallet fell on his head and cause him a lot of pain. With Upalet, he would avoid suffering that much. Able to hold 4000Kg the maximum. As we can see, the Upalet represents a trend-setting product, which is not only with better features than the current pallets but also is environmentally friendly and sustainable. Have a look at this promotional video, where you can see in a more fun way the things I just have said. Hope you enjoy! Quick Pallet Maker is pallet loading and package design software application that allows the user to calculate optimal secondary package dimensions and pallet arrangements, thus reducing shipping costs, it was developed by Koona, LLC a US-based Software Engineering company. They are mainly focused on small and medium sized companies, particularly manunfacturers and packaging operators. But not leaving behind corporations. Calculation: Complex features for calculating the ideal dimension of each item so as to fit the latter’s capacity. Container fill: Assists the user in organizing multiple-sized objects in a container. It takes into account the dimension of each box and suggests the way how they should be heap up so as the whole cargo gets in. Optimizing costs: Indicates the user how large each pallet should be so as to get a maximum number loaded into a single cargo. Quick Pallet Maker also has a YouTube channel for their customers to get free tutorials on how to apply the software features, for example, the presented video allows the customers to learn on how the “Filling Containers with Boxes” feature works, providing them to calculate and better fit their delivering order. Reforestum is an App which led the customers to create a real forest from any electronic device. The objective is to recover the lost forests of the planet and to help protect the existing ones creating environmental sensitivity. What this App does is to measure the carbon footprint of your daily activities and to compare it to the carbon you are capturing through the forests you have created through the platform. Furthermore you can check the status of your forest at all times, with satellite images, notifications, and photographs. In this way we can all get involved in caring for and improving the planet. It is the perfect tool to take direct, useful and collective action to solve the problems that our way of life is causing to the planet. One of the world’s main concerns nowadays are the natural resources; they are becoming more and more scarce that is why people, mostly environmentalists are worried about our future and are looking for ways of prevention and savings. With this concerns, two spanish guys got to an amazing idea that is called AquaReturn; a device that recirculates the cold water first and then tempered until it reaches 35ºC, which allows to save energy. This device works when the user open the tap they do not have to wait until the water reaches the desired temperature, usually the user need to wait a couple of seconds until the water turns warm and those seconds are a waste that this device is avoiding. AquaReturn is a product design for home use and it works with a boiler, thermo or individual heater but it can also be use in companies or tourist establishment since the since the return system can help for instance hotels that have a high consumption of energy and this system will suit them very good, as well as for families. This device prevent the water from flowing out until it reaches its consumption temperature, generating significant savings in water, energy and CO2 emissions, resulting in huge economic savings. HOW PACKAGING INFLUENCES OUR DECISIONS ? The other week during lesson we deal with the theme of packaging. I’ve always find this particular topic rather interesting because I’m also somebody whose guilty of having bought something just because I was attracted by the colors. Have you ever wondered that there is almost a science behind it? Since the first moment we open our eyes in the morning till the time we go to bed in the evening we have many different needs. The basic ones are like eating, drinking and such. We can control our needs, thanks to our will, but most of the times we get influenced by the surrounding what we feel we need. Here is the key: what we feel we need but actually we don’t. What trick all of us is the so-called smart packaging, which helps the targeted consumer feel an emotional attachment to a brand. Keep in mind that 1/3 of the consumer decision-making is based on the packaging. Impulse purchasing makes up almost 75% of the consumer spending, and if the package fails to project the right message then it might be left sitting alone on the shelf. One crucial element is an icon: what the brand try to trigger every time is positive feelings, because marketing is based on emotions and the smart packaging ground his way of working on marketing which trigger our emotions. What all the companies try to do is to influence positive feelings toward the brand and the product. On the first step this lead to buying the product, then it may become loyal to it and in some cases also willing to pay more than its actual value. Emotions are also connected to brand icons as memories and these feelings can create long-term relationship between the brand and the consumer. Nonetheless it influences purchasing decision. A right design can trigger a ripple effect: a friend take a photo of the packaging, he or she share it on Facebook, someone share it and by doing this there is the chance that other will see it and be interested in the product. First impression matters also between the counter of the Supermarket. It takes only 7 seconds to make a judgement based on the first things we see on the package. The brand is represented by the packaging, and this promise to deliver also a quality experience. What are the elements that might catch the eye of the consumer? Packaging has been proved as a crucial factor in decision-making, it is directly related to the perceived quality of the product and affect if the product is noticed on the shelf or not. It has been estimated that 60-70% of buying decisions are made in the store. The consumer, on average, leaves home to get back with a product serving a definite purpose but no strict decision has yet been made about the brand to go for. The final choice depends on a variety of factors. These on-sport decision making about choosing among alternatives is influenced by product perceptions, which is conceived by packaging design, knowledge about the brand, attitude towards brands and the consumer personality. The more the brand costs the more the costumer wants to be involved and the less it costs the less he feels the need to a connection. Did you ever think that also the color plays a role in this game? Red = makes the adrenaline increase and the heart beat faster. The color is used to grab shoppers’ attention. ¿HOW DO THEY TRANSPORT A METRO? Medellin is the only Colombian city that has Metro, its construction took 12 years until in 1995 it was open. The metro transports nearly 650.000 passengers every day and constitutes a core asset of the city, moving at a speed of 37 km/Hour it crosses the city in both north-south directions with its 10 lines and 76 stations spreading through west and east, among which we can count the Metro cable ones, but that will be an upcoming topic for a future post. 1 train unit composed by 3 carriages mobilizes 1.165 passengers, whom otherwise to be transported would need 942 vehicles, 18 public service buses and nearly 8 articulated buses. And as the population of the city grew, the Metro had to keep up, so in 2015 the company purchased 20 trains, each one composed by 3 carriages, to the Spanish company Construcciones y Auxiliar de Ferrocarriles (CAF) through a contract that includes manufacture, supply, transport and kick off, for a total of 88’800.000 Euros, which are going to improve capacity in a 36% and shorten the time interval between trains from 3’40” to 3’15” in rush hours. In order to complete this project, the trains had to be dispatched from Spain (Bilbao and Sgunto) to Colombia in ships and the tricky part was just to begin, because from the Cartagena port where the carriages arrive, to Medellin, they had to cross 640 km approximately through roads, which I have explained before, are all but adapted and convenient for this tasks, but they are all we got, so what they did was to stop traffic for intervals of 2 to 3 hours so that the trucking rigs could pass without any inconvenience. For the 12 trains received, the whole operation took 6 days and it is expected that by the end of this year all of the 20 will be in Medellin, ready to be put in service for 2018. This is how it was done, first a video of how they embarked the trains which with the first minute is enough to see how it was done, and then a video of the trucking rigs transporting them through the middle of the country to Medellin.